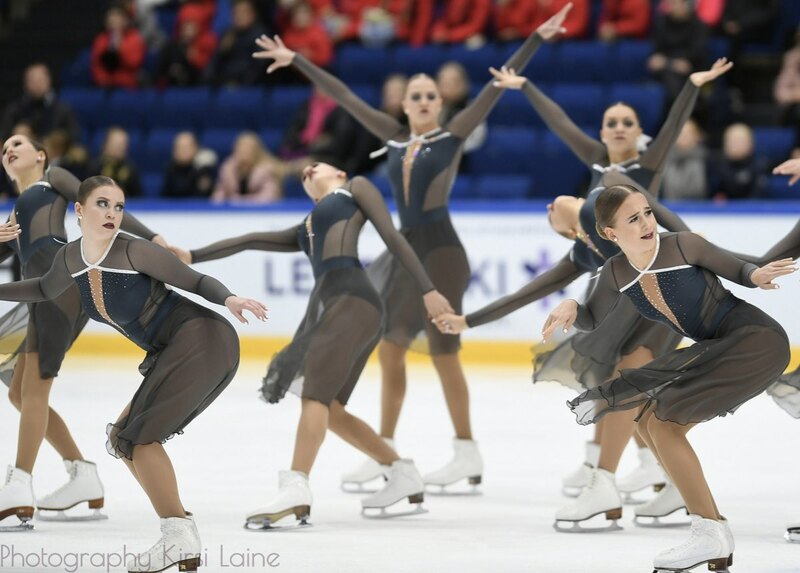 It was almost as “Finnish Nationals” because all the four Senior teams from Finland competed on the French ice late Friday evening. Even though Team Paradise from Russia captured a narrow lead earning 84.99 points. The team from St-Petersburg skated to classical music very smoothly and beautifully and indisputably got the highest scores for the evening for their skating skills (9.20). Only 0.25 points behind them are Helsinki Rockettes (FIN). Their strong “Symphony of Passion” was full of emotion and gave them scores of 84.74. The short program competition ended in a speedy presentation of Team Unique (FIN). Their street dance “Muzic makes me…” roused the audience, got the best technical element score and the best program component score but due to one fall the team ended up on the third place with 84.53 points. Marigold IceUnity (FIN) was as steady as always. They made no errors and their stylish Olympic dream “Why not?” earned them 83.75 points. On the fifth place is Les Supremes (CAN). They earned 82.48 points, which was almost four points better than their short program score last week in Sweden. They skated Michael Jackson’s “You will be there” with good confidence. 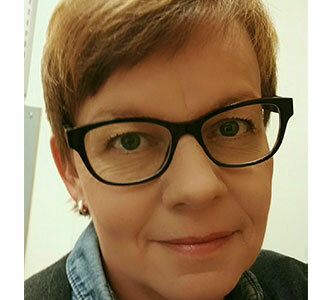 It is also well-founded to mention the fourth Finnish team Lumineers, which is approaching the top. They got their best scores of the season, 75.18 and the sixth place. As we saw in Mozart Cup situations may change quickly. So anything can happen between the five top teams on Saturday evening. In the Junior category, the two top teams had an exciting fight. Dream Edges (FIN) took the narrowest lead with 78.75 points. Their “Ugly Ducling” was flowing softly and with good timing. Junost (RUS) gave them a hard challenge. They skated worth of 78.57 points with incredible speed. Their Spanish-style program was very different from the theme of Dream Edges but surprisingly they got exactly the same program component scores (32.72). The third was Skyliners from the USA. They skated to the music “Who wants to live forever” with great passion and earned 74.00 points. The gap between the two leading teams was due to a lower technical element score. 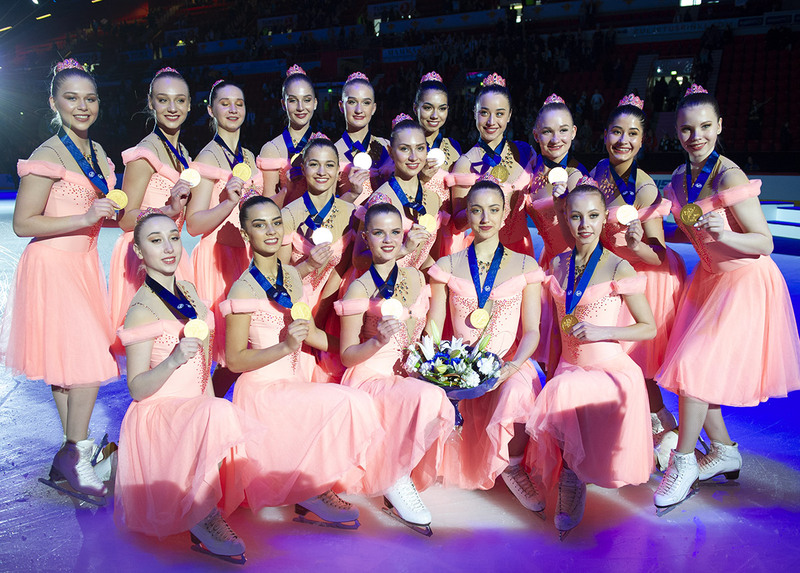 Their program element score 33.04 was the best in the Junior category. 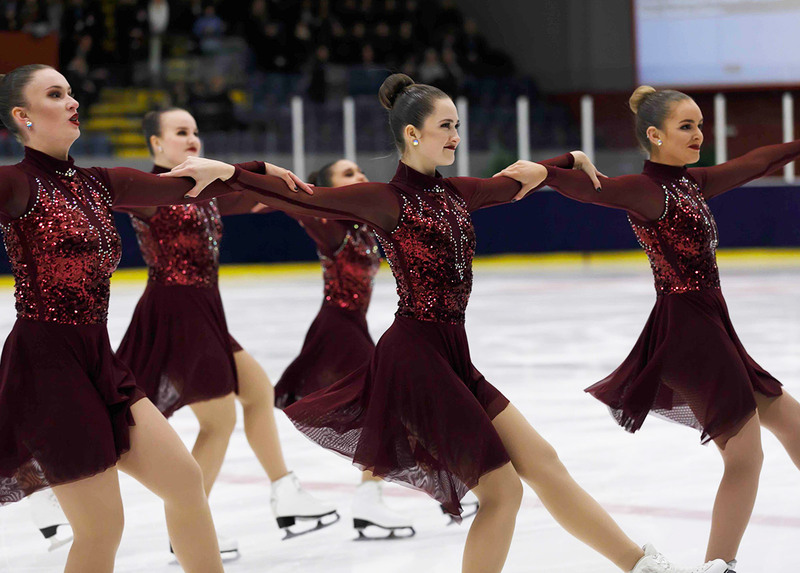 The Valley Bay Synchro (FIN) that started the Junior competition was fourth earning 62.74 points and Lexettes (USA) reached the fifth place with 61.10 points. In the Junior category, all the teams have increased their speed and skills and it´ll be interesting to find out how the teams will manage in the free program competition. Today we didn’t manage to show our best🤔 Luckily tomorrow is a new day and we will end the free program competition at 17:16 🌎☄️ Be there or remember to cheer us via the livestream! The free program competition will be a real thrill, do not miss it.